Phillip Lee Fox, 78 of Mesa AZ died May 1, 2018 at his home after a long battle with cancer. Phillip was loved and will be missed by many. He married Carol Ann Beasley, 60 years-ago in McAllen Texas. Their love story was a fairytale that begin as high school sweethearts. In 1970, Phil and Carol were sealed for time and all eternity in the Mesa, LDS Temple. He is survived by his wife Carol and their four children; Dayne (Pam) of San Tan Valley, Michelle (Paul) of Mesa, Duane of Mesa, and Patrick (Sydnee) of Saratoga Springs, Utah. Phil and Carol had eight grandchildren, Dayla, Dallen, Nathan, Samantha, Amanda, Madison, Clancee and Rosie. Phil was the second son of Kenneth E and Segal Anita Fox and was raised with his twin sister Phyllis Ann Fox and other brother Kenneth Glenn Fox in McAllen. He joins them in heaven along with his grandson Dallen Jarnagin. Phil and Carol both joined the Church of Jesus Christ of Latter Day Saints in 1969 in McAllen. 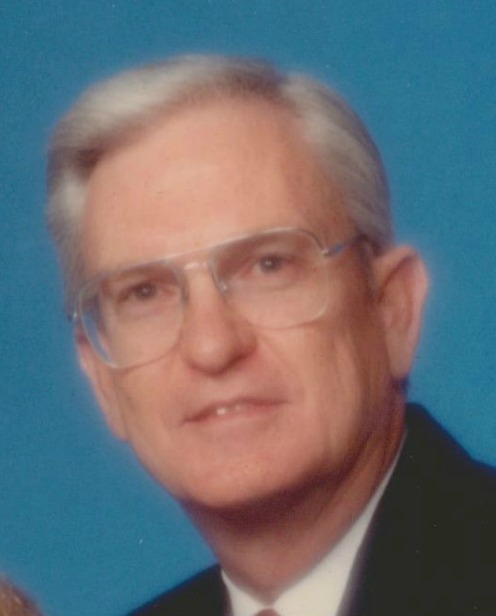 He served in numerous church callings including; a Bishop, Stake President, President of the Milwaukee Wisconsin Mission from 1989-1991 and as a Temple Sealer in the San Antonio and Mesa LDS Temples. He was a spiritual giant and influenced many lives through his endless church service. Phil owned multiple insurance agencies in McAllen and worked for three Fortune 500 companies. He attended the University of Texas, Austin. The family would like to extend a special thank you to Hospice at Home for the loving care they provided in his last days. A viewing will be held from 9:00 -10:45 a.m. followed by a memorial service at 11 a.m. on Tuesday, May 8 at the LDS Parkwood Ward building, 618 South Signal Butte in Mesa. Graveside services will follow at the Mountain View Cemetery at 9700 East Main Street in Mesa. Please visit bunkerfuneral.com for online condolences. Dear friends…my heart aches for you. Loss is hard to bear, at any age. But he still lives..in heaven, in your hearts, and in the beautiful Legacy he has created. I wish I was able to attend the funeral tomorrow. Please know I’ll be there in spirit. Uncle Phil was a wonderful man and I miss him already.